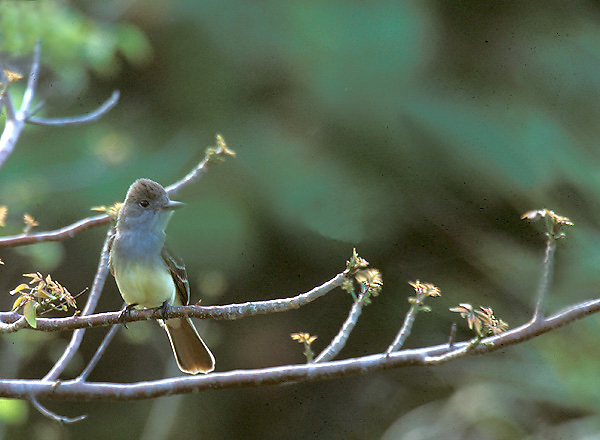 Howitz observed a singing male Acadian Flycatcher in the oak woods southwest of the large marsh south Fish Lake on June 14, 1992. Alder Flycatchers are not common at Cedar Creek, but are present each year (and presumably breed) in the swamp south of Lawrence's cabin. They generally also are present in the marsh east of the north-south road. There are no Cedar Creek records of the Willow Flycatcher, E. trailii, though this species is far more common than the Alder Flycatcher in Anoka County. Eastern Kingbirds are a common and conspicuous breeding species of the open areas at Cedar Creek. They generally nest in oaks or conifers and catch flying insects in the fields and savannahs. 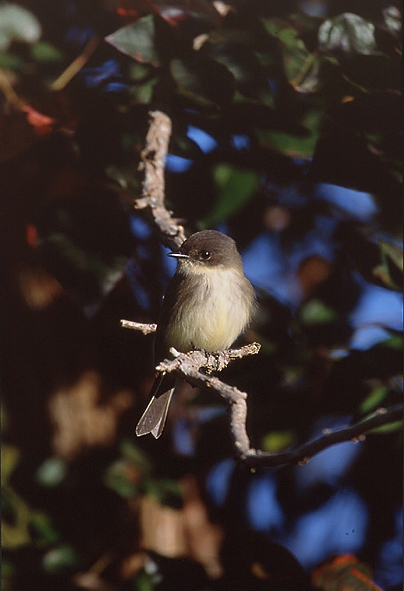 Eastern Phoebes have nested on several of the buildings at Cedar Creek, including Lawrence's, Norris's, and Corneia's cabins, the laboratory, and biotelemetry buildings. They also have nested under the 24 and 26 bridges over Cedar Creek. Phoebes are among the earliest birds to return to Cedar Creek in the spring, sometimes returning in late March. Peewees are probably the most abundant flycatcher at Cedar Creek. They are abundant and conspicuous in the savannah and open oak woods. All the nests Howitz has seen have been placed far from the trunk on dead oak branches. The Least Flycatcher is the most common Empidonax at Cedar Creek. They are common in oak and mixed deciduous woods. Olive-sided Flycatchers are fairly common migrants at Cedar Creek. There is no evidence that they breed at Cedar Creek, though late spring migrants have been seen in early June and early fall migrants in July. 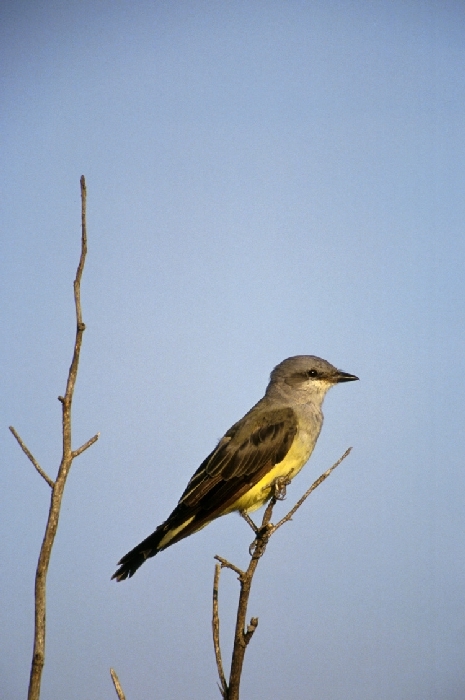 Western Kingbirds bred on and near the area in the 1950's and 1960's, but have not done so recently. The only recent records are September 13, 1976 and July 10, 1983. Yellow-bellied Flycatchers are spring and fall migrants at Cedar Creek, and apparently are uncommon, but since they are easily confused with other species in the same genus, their true abundance is difficult to assess.